Whether you currently sell your crafts online, or are purely selling offline through word of mouth, to see an increase in sales, you need to start promoting your business. Many different crafters see success through social media, whether selling badges they’ve made at home with a badge making machine, or festive decorations in the run up to Christmas! There are loads of different marketing tactics you can try. However, if you have no budget (or a very modest one), then social media is a great place to start. By setting up a business account, you have a platform to promote your products, and build and engage your following. Here is our guide on everything you need to know about promoting your crafts on social media! Not every social site will be relevant to your business – you need to choose carefully, depending on which sites your (potential) customers are active on. As the largest social media platform, with 1.59 billion monthly active users, Facebook is a great place to start. However, Snapchat – with 41% of its users 18-34 years old – may not be relevant to your business if your customers are middle aged. It’s much better to be active and successful on two or three channels, rather than having an account on every single site, but spreading yourself too thinly. For craft businesses in particular, Pinterest can be a good platform to show off your products. 2/3 of content is posted by businesses, and 83% of pinners are happy to connect with brands, meaning you already have an engaged audience. Get those pictures of your beautiful badges up there! Sure, you may already have your own Facebook, Twitter and Instagram accounts, but if you want to promote your business, then you need to create separate profiles. 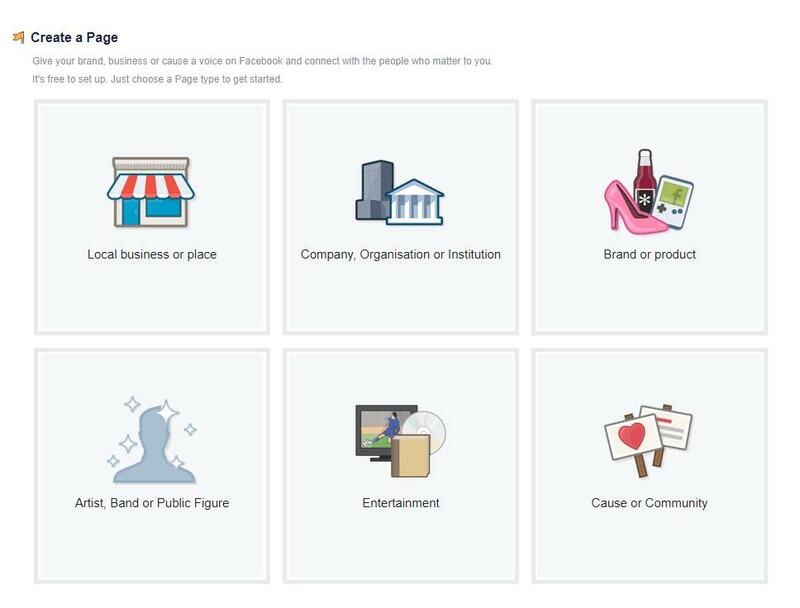 On Facebook, you can set up your own business page which can be managed directly via your personal account. Claim your handle on your chosen social media sites – ensuring it’s your brand’s name, and it’s consistent across all social media sites. If you have a website, or an area online where you currently sell your products (find out where you can sell your crafts online here), then include the link within all of your social media profiles. Also, don’t forget to fill out your company information! People like to read about your background and what you stand for. Whilst it’s okay to share your business’ posts on your personal profile, it’s crucial you have a separate business account. After all, customers will be searching for your brand name, not your personal one. Consider Facebook: your personal posts are only seen by your friends. If you have a business page, anyone can like it, and anyone can view your posts. Additionally, if you have a business page, then you’re able to run paid ads, which we’ll explain further down. Hootsuite looked into the best times for businesses to post online. Whilst this can be a good guideline, it’s more a case of trial and error, as you find out when your followers react best. For instance, if your customers work, then they’ll probably check social media at lunch or after work. Also, don’t be afraid to engage! 70% of Twitter users expect brands to reply to a tweet they’ve sent, and 53% want a response within the hour. Besides, if you engage, followers are more likely to reciprocate the love. So, get commenting on their Instagram posts, and retweeting their tweets and you’ll soon see the benefits! If your photos aren’t high quality and interesting, no one will engage with them – much less click through and buy from you. Posts on Facebook with pictures typically have an interaction rate of 87%, so you should NEVER use plain text posts. This is particularly important for visual sites like Instagram – but that’s not the only thing to think about. You need to consider the aesthetic of your overall profile: use a select few filters instead of changing them daily. You’ll also want to have a similar background for your pictures – if in doubt, a blank one is best. However, don’t be afraid of showing a bit of personality. It’s okay to post behind-the-scenes pictures, or regram a photo your customer has posted, showing their latest purchase from you. For help on how to take beautiful pictures, take a look at our top tips for product photography. If you really want to engage your audience and promote your products, then you need to invest some time in video. On Facebook, more than 100 million hours of video is watched, and YouTube has 4.95 billion daily views. By posting videos on YouTube, you can embed them onto the likes of Facebook and Twitter – not to mention your own website. 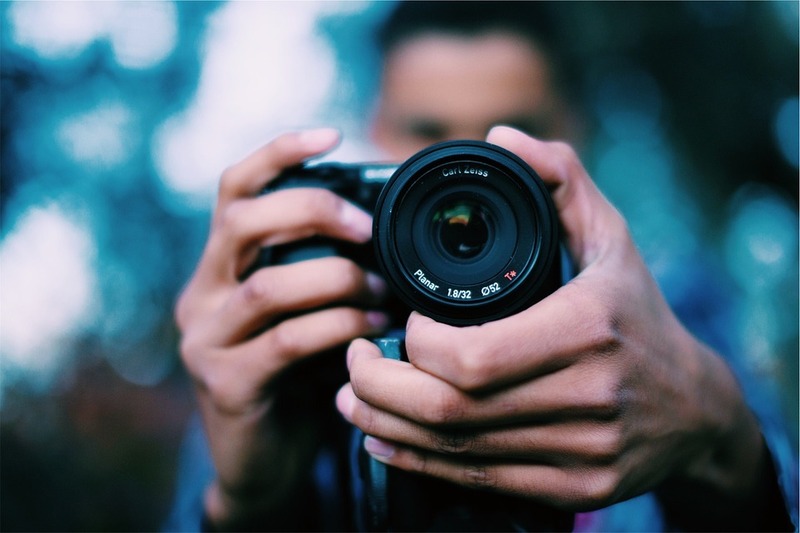 You don’t need to spend thousands of pounds on fancy equipment – an iPhone will do, and you can start to post videos of your products and behind the scenes footage for your followers to enjoy. Alternatively, you may decide to post a series of ‘how to’ guides, encouraging people to get crafting, providing them with the incentive to keep coming back to your social media channels to watch more. Start simple – as an example, we created some short, instructional videos explaining how to use our machines, which are popular both on our site and on Youtube. Once you’ve set up your business accounts and started running them, you may feel you need a little push for it to take off. That’s where paid advertising comes in – you don’t need to pay a lot, but a little investment can work wonders. Facebook Advertising has a range of options: whether you want to promote a particular post, increase your number of page likes, or increase clicks to your website; Facebook can help you to do so. All you need to do is decide the amount you want to invest and how long you want your advert to run for, and then you can start building it. You can also build a custom audience, including age, location and interests. Once this goes live, Facebook will also publish this on Instagram, widening your reach. Twitter provides a similar service, where you can increase tweet impressions, followers and clicks to your website. How much you invest is entirely up to you: even if you test the waters with £5, it’s worth a go to see how successful it is. Ultimately, social media is a great way to get your business out there, and promote your products to new people. How much time you invest is down to you, but it’s one area that can really help you to grow your craft business. Now it’s just a case of which sites to set yourself up on! Do you sell badges you made with our machines and market them on social media? We’d love to hear how you get on!